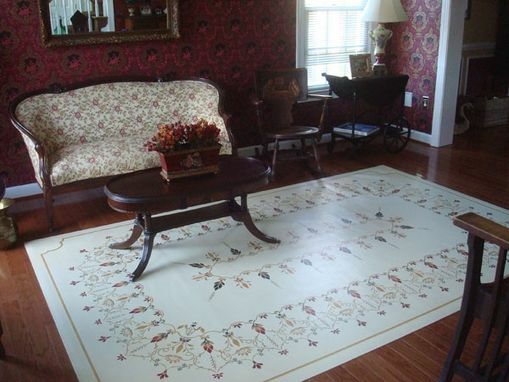 This floorcloth was commissioned clients in Olney, Maryland. 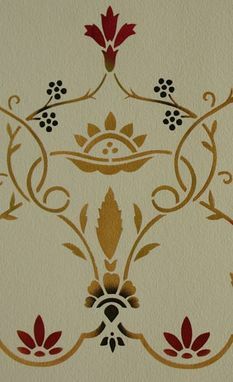 The design is based on Victoriana in our Next Collection with the colors modified to a palette that compliments the wall paper in the Living Room. The size was also adjusted, resulting in a different medallion treatment. The background color is Corinthian White. 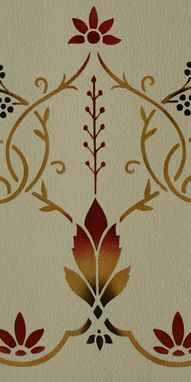 The motif and border colors are Black, Burgundy, custom gold and custom green. 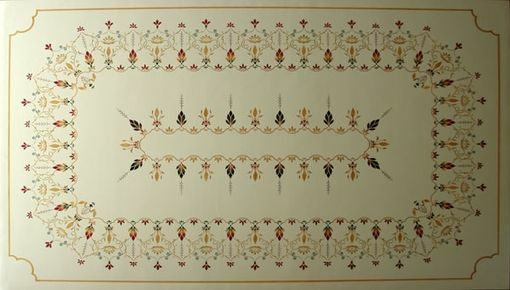 Dimensions: This floorcloth measures 6' 2" x 9' 10" and resides in a Living Room.